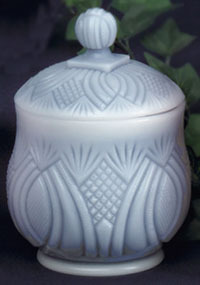 All-wax handcrafted reproduction of the La Clede pattern antique glassware in the sugar bowl size. Has removeable wax. lid. Available in your choice of color and fragrance.